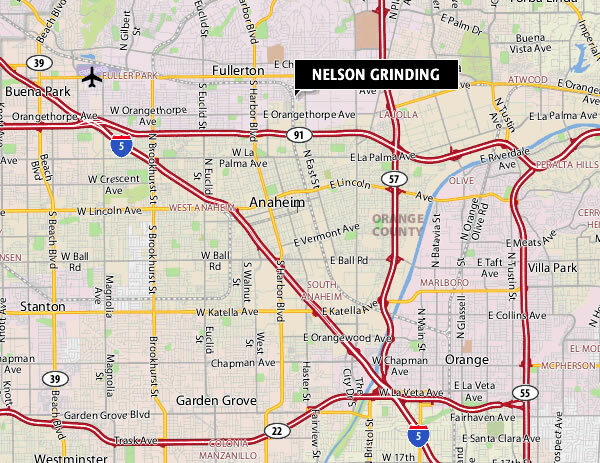 Nelson Grinding, Inc was established in 1978 with a goal to assist the machine tool industry by offering higher quality, value driven, precision grinding. Starting with our local area customers, we provide a top quality grinding service. 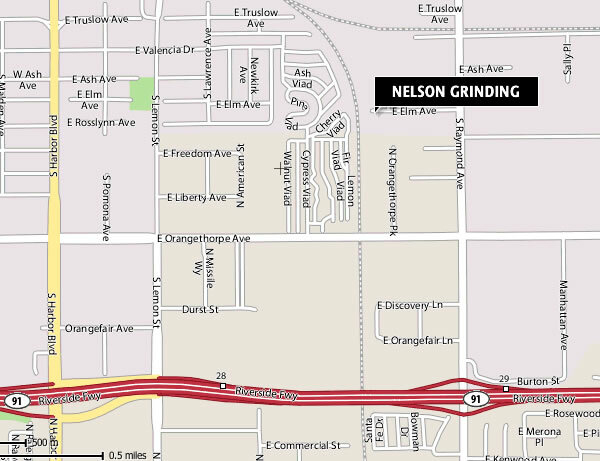 For the last 30+ years, Nelson Grinding has become a leading custom grinding center throughout the Orange County, California region. We are your complete and dependable grinding source. From standards to specials, our many years of experience and precision grinding equipment will provide the quality assurance and customer service you deserve. We currently service many local companies on a regular basis. By working with design, engineer and production departments, many cost saving programs have been instituted. We are located at 1014 East Elm Avenue, in Fullerton, just north of the 91 Freeway. Take the Raymond Ave. exit north and turn left on Elm as shown below.